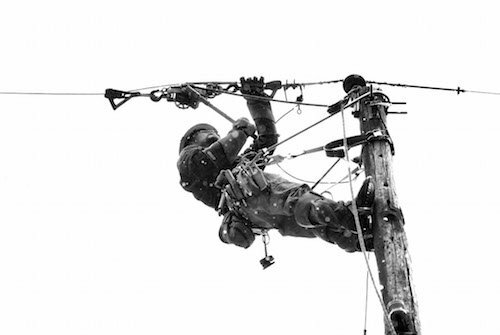 July 10 is Lineman Appreciation Day, commemorating the contributions of the men and women who bring electricity to the U.S. economy and honoring the legacy of Henry Miller, one of the founders of the IBEW on the anniversary of his death. Electrical lineworkers construct and maintain the vast energy infrastructure that brings power to hundreds of millions of homes, factories and businesses. Their skill and sacrifice is often overlooked. The IBEW and the investor-owned utilities that are members of the Edison Electrical Institute have been pushing for a single national day to honor their work. Representatives Linda Sánchez (D-Calif.) and David McKinley (R-W.Va.) have introduced legislation in support of designating July 10 as National Lineworker Appreciation Day, and 12 members of Congress have co-signed the bill. “In every city and town in America, journeyman linemen constantly put themselves in danger to ensure reliable access to electricity for all,” the resolution begins. It goes on to tell Miller’s life story, how he was one of the original 10 delegates that met in a boardinghouse in St. Louis in 1891 to draft a constitution and form the National Brotherhood of Electrical Workers. Miller was working in Washington, D.C., five years later when he was electrocuted and fell from a pole. He died later that night. Lineman Appreciation Day has been celebrated on many different days of the year in the last half-decade. The first time Congress designated Linemen Appreciation Day, the date was chosen by a nonunion electrical utility executive to coincide with his father’s birthday. Neither man was a lineman. “We wanted a day with more meaning,” said Diamond Bar, Calif., Local 47 Business Manager Pat Lavin, who is also a member of the International Executive Council. July 10 was first designated Lineman Appreciation Day by California, largely as the result of the efforts of Local 47 and Vacaville Local 1245. It won’t just be the lineworkers marking the day. Many utilities cross the U.S. will also be participating. “It takes hundreds of thousands of dedicated, hard-working people to maintain the energy grid in the United States, and our nation’s lineworkers are on the frontlines. Every day, lineworkers are installing new technologies to modernize the energy grid, and they are among the first responders when storms and natural disasters strike our communities,” said EEI President Tom Kuhn. Members and family of lineworkers are encouraged to post pictures and express gratitude on social media using the hashtag #thankalineman.